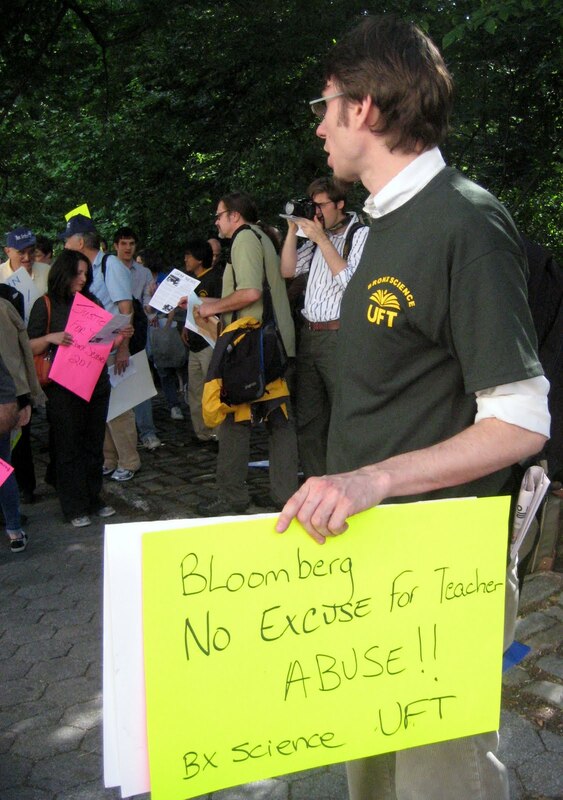 A spirited picket line of teachers called on Mayor Bloomberg yesterday to call for an end to supervisory abuse and a fair settlement in the case of the Bronx Science Twenty. 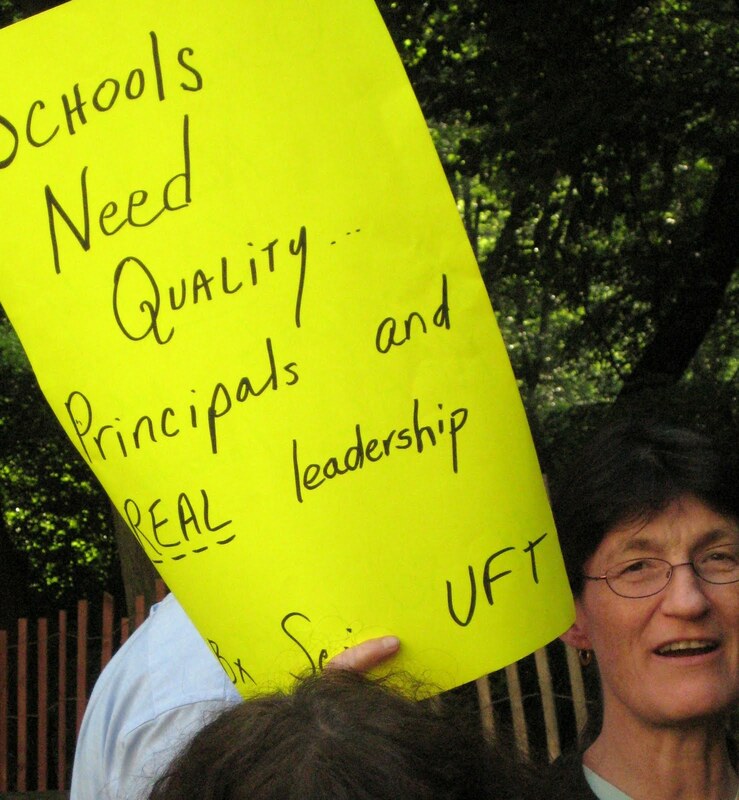 Current and former Bronx Science teachers were joined by UFT colleagues from all over New York City in a demonstration focused on a recent fact-finding decision which pushed for “healing” at the storied Bronx campus. 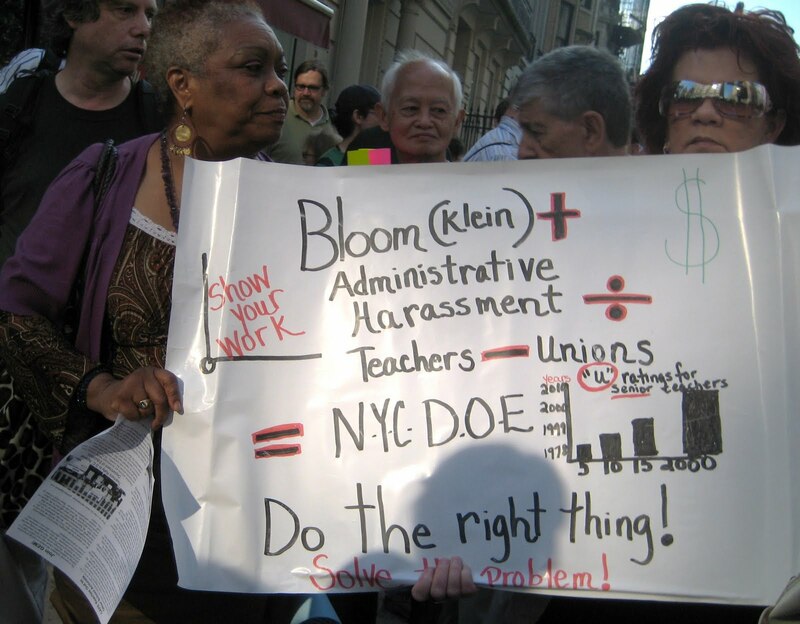 Department of Education Chancellor Joel Klein has ignored the fact finding decision by neutral arbitrator Carol Wittenberg that found that twenty of the twenty-two math teachers in the school had been harassed. According to the annual DOE Learning Environment Survey, two thirds of the teachers at Bronx Science don’t think they can “trust the principal at her word.” Turnover at the school has increased, according to the official school report cards. For newer teachers, turnover has been higher than 20%, reaching 35% in some years, in contrast to comparable schools like Manhattan’s Stuyvesant High, where turnover for newer teachers was 4% in 2007-8. 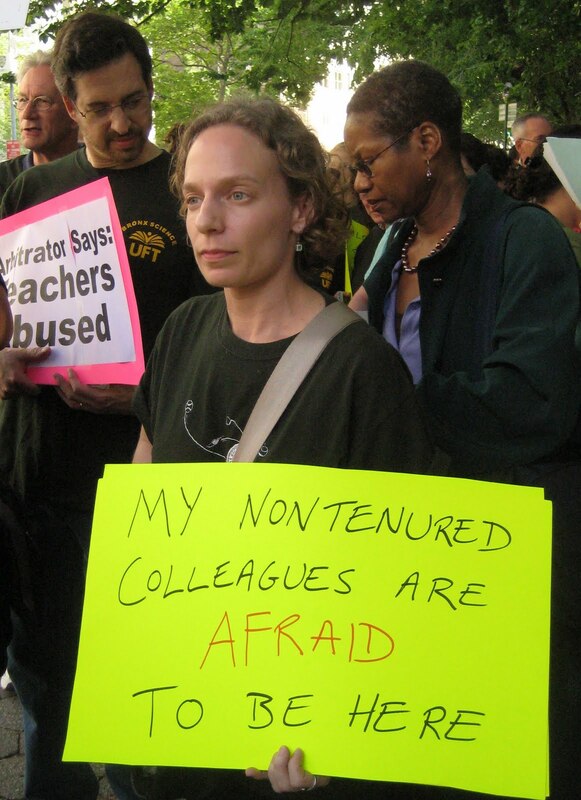 The percentage of teachers at Bronx Science with three years or less experience has increased from 10% in 2004-5 to 17% in 2008-2009 to about 36% in 2009-10 and the school has not hired a tenured teacher or counselor in the past two years. Great work Angel! Teacher abuse has got to go!